I obviously hadn't read the synopsis for this book before I started reading because I was expecting a nice coming of age story that was a relaxing summer read but that was not what I got. The story was very plot driven and very informative about eating disorders. But the author had lacked in the character development in the book because of the plot. I felt like she wrote this book to educate people on eating disorders, not for it to be an intriguing story. 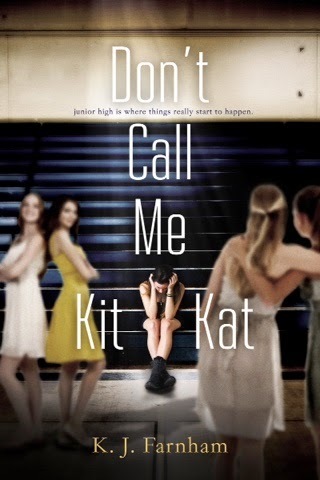 'Don't Call me Kit Kat' really made me look at people with eating disorders completely differently. I assumed that I knew quite a bit about eating disorders but turns out I actually didn't and I don't think I fully understand nw. If 'Don't call me Kit Kat' taught me one thing it is that you don't really understand any form of mental disorder until you have one. In conclusion, I like 'Don't call me Kit Kat' but it wasn't anything special. I think to fully enjoy 'Don't call me Kit Kat' you probably have to either have/had an eating disorder or have a close friend or family member with one. I'm giving 'Don't call me Kit Kat' 3/5 stars.